adherence. 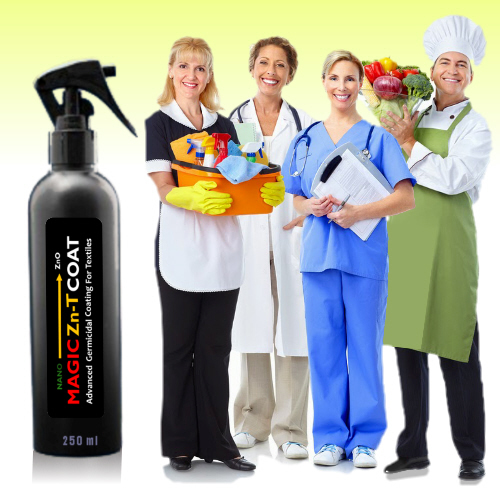 Coating can kill a wide range of bacteria, yeasts, molds and remove odor. having to be integrated into the production process. bacteria, viruses, and fungal spores and reduce odors. One spray lasts 50 washing cycles! antimicrobial protection and continuous pollutant & odor reduction in any environment. It is totally green product. Cannot be removed by repeated washing. A single bottle will treat one full XL uniform.